I like my lashes dark, dramatic and brushing against the lenses of my glasses, which is why mascara will always be a staple in my beauty bag. I’m sure many of you agree since the appeal of long, flirty eyelashes is practically universal. Many of my friends have tried all kinds of lash extension and curling procedures. While I’m an avid fan of the results, I’d say I’m fairly fainthearted when it comes to experimenting with my own lashes. I’ve always had an irrational fear that falsies will rip off any real hair. Instead, what I have tried are countless eyelash growth serums that claim to enhance your natural lashes. Some of my all-time favorites include RevitaLash (I swear by this product, and I end up having to use it sporadically because my lashes reach crazy lengths) and Hairgenics Lavish Lash. Castor oil is another great, natural conditioner. When looking for some extra glam, I sometimes use false eyelashes, but they come with a dash of dread. 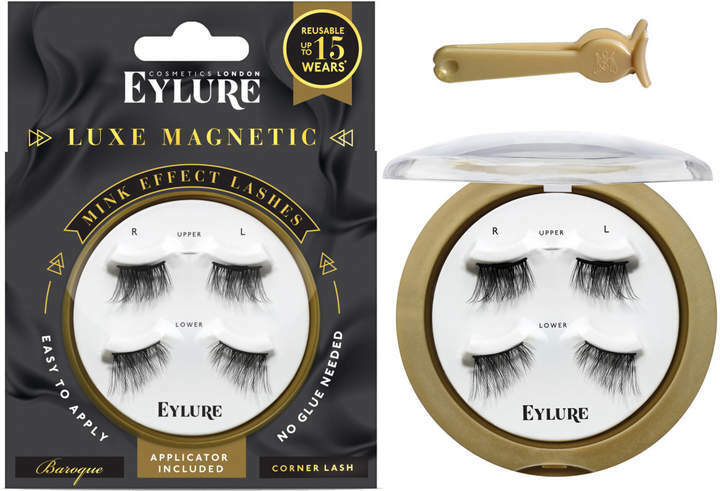 Fiddling around with glue next to your lids sounds mildly alarming for many people, which is why magnetic lashes are gaining significant traction in the beauty community. In fact, magnetic lashes are so popular that we’re seeing magnetic lashes pop up everywhere from Sephora to the drugstore — and according to this year’s Google Year in Search 2018, the top three beauty searches in the U.S. were all about eyelashes. How to apply magnetic lashes came in at the number one beauty search query. 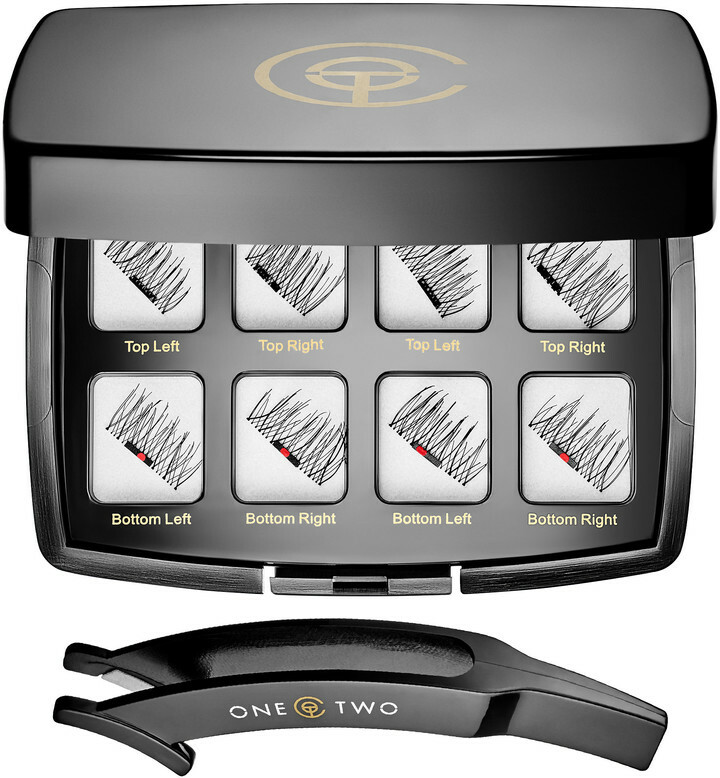 This innovative lash format uses a sandwiching technique: One strip goes under the natural lashes, and the second fits along the top of lashes. The tiny magnets at the base of each strip help them snap together when they are aligned at the lashline. And to remove them, you just pull the false lashes apart — no oil cleansers or wipes are needed. They’re reusable, budget-friendly (at around $7 a pair), and don’t require any messy glue, so it’s easy to see why they are so popular. 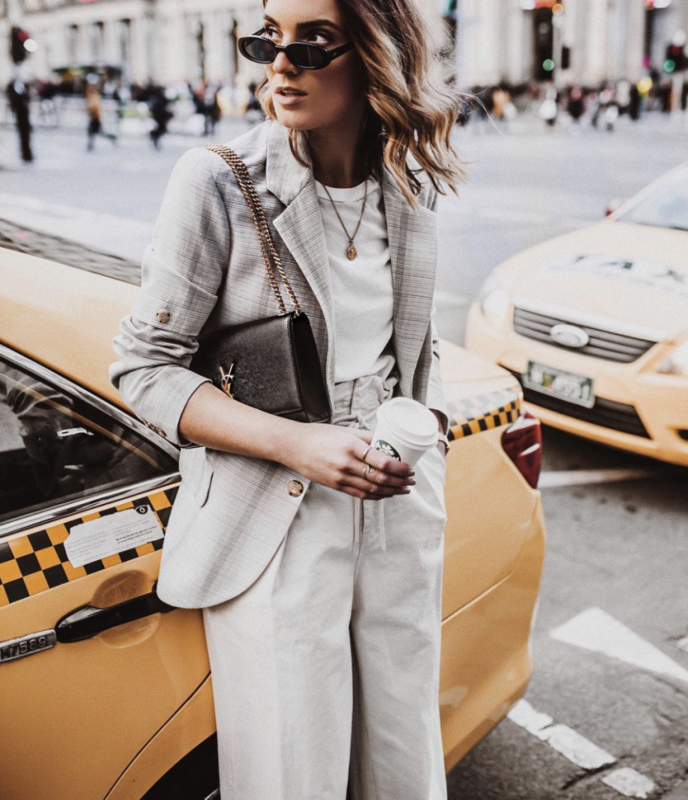 Katy Stoka, inventor of One Two Lash, the world’s first magnetic eyelash, designed her product as a foolproof way to apply and sport false lashes. 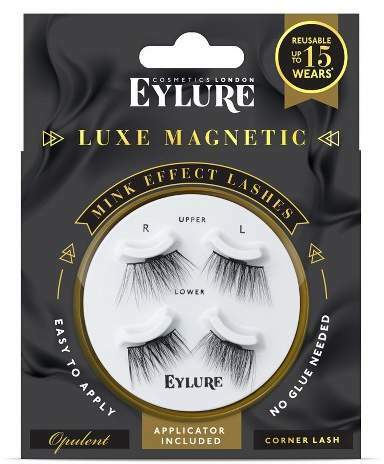 The invention is genius because not only do magnetic lashes eliminate any mess caused by glue, but they’re actually better for the environment. 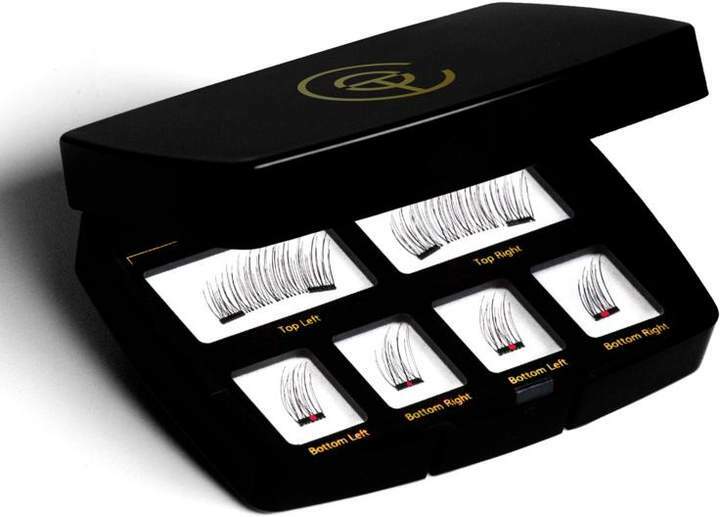 They also last much longer than your run-of-the-mill strip lashes and come in a multitude of styles for different occasions. Curious how they work? 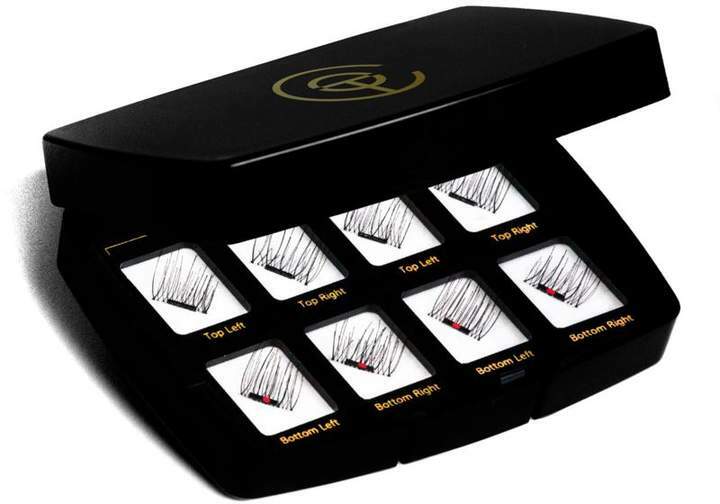 Keep reading for your step-by-step guide to applying and maintaining magnetic eyelashes. When it comes to regular falsies, you’d apply a single strip of lashes on your lash line using some glue. 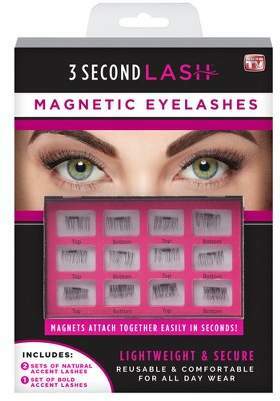 With magnetic eyelashes, you’ll have two separate strips that have small magnets attached to the centre. One of the strips will sit on top of your lashes and the other one will go underneath, fastening together through your natural lashes. We’re not going to lie; applying magnetic eyelashes can be excruciatingly annoying at first, but practice makes perfect. To start with, take the top lashes and place them over your eyelashes, as close to the lash line as possible. Next, take the bottom lashes and place them underneath your top lashes. The magnets should snap together, securing your lashes in place. If you need to adjust them, gently pull the corners of the lashes to reposition them. You can use magnetic eyelashes with or without mascara. 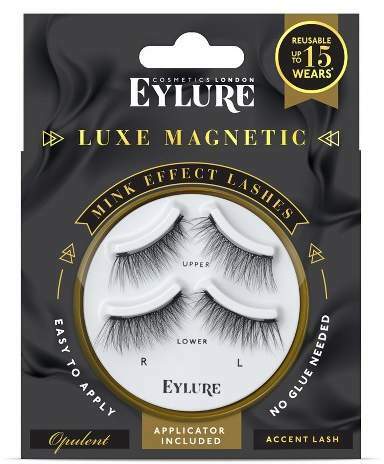 With any kind of false eyelashes, whether it’s strip or magnetic, it can sometimes be challenging to get them to fit your eye shape properly. A simple hack is to trim the lashes. To do so, use a pair of scissors to cut the top and bottom lashes in half. You can then apply them as usual, starting with one half of the top lash and one half of the bottom lash. Trimming your lashes will prevent the corners and the middle section from pointing upwards, and it provides a firmer hold. 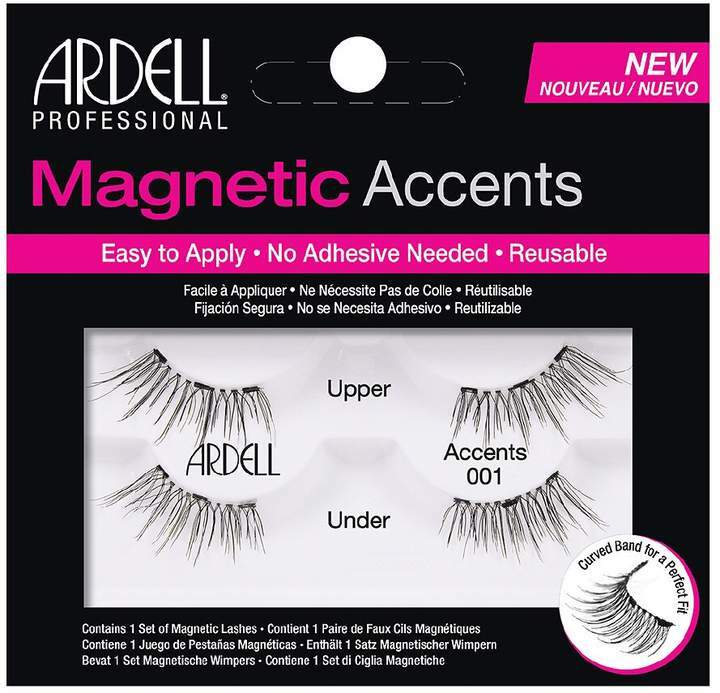 With proper care, you’ll find that your magnetic eyelashes will last you a very long time. When removing them, make sure your hands are clean and dry. Once they’re off, gently wipe them down with a damp cotton pad to remove any residue from mascara or other eye makeup. Most magnetic lashes come in a little storage case, so always pop them back in there to keep them safe. 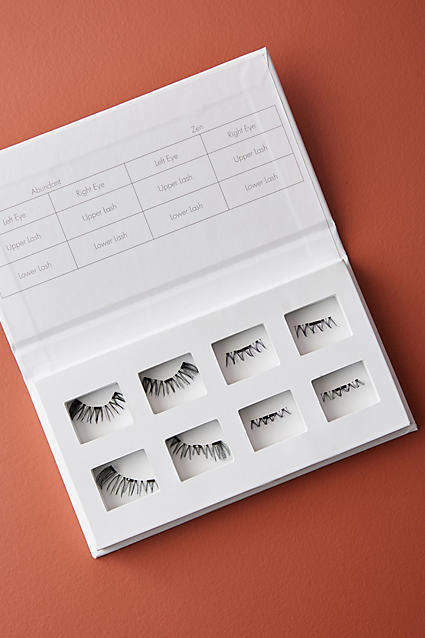 One Two Cosmetic lashes are a forerunner, and you can get over fifty uses from just one pair. 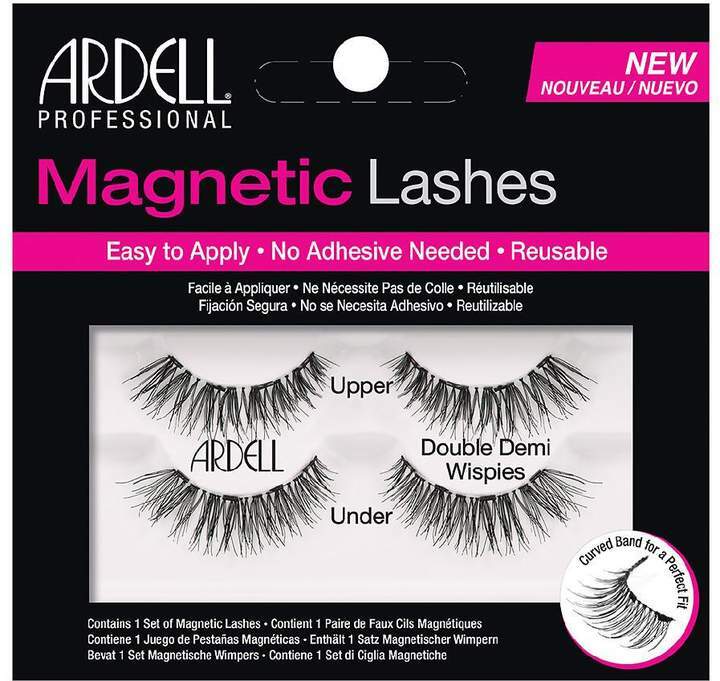 Other industry favourites include Ardell’s Double Up Lashes and the Venus Visage 3-D lashes that only cover two-thirds of your lash line so your outer corners have an extra whimsical flutter. For a more natural look, LASH’D UP lashes are a great option, and the start-up is a supporter of children affected by cancer.